PacGenomics scientific team of professionals work intensively to incorporate high-quality WGA methods into our PGT platforms. At PacGenomics, we have tested multiple different WGA methods and, following a comparison of the test results, we selected the WGA with the highest genome coverage (> 90%) and the lowest noise levels subsequent to testing. 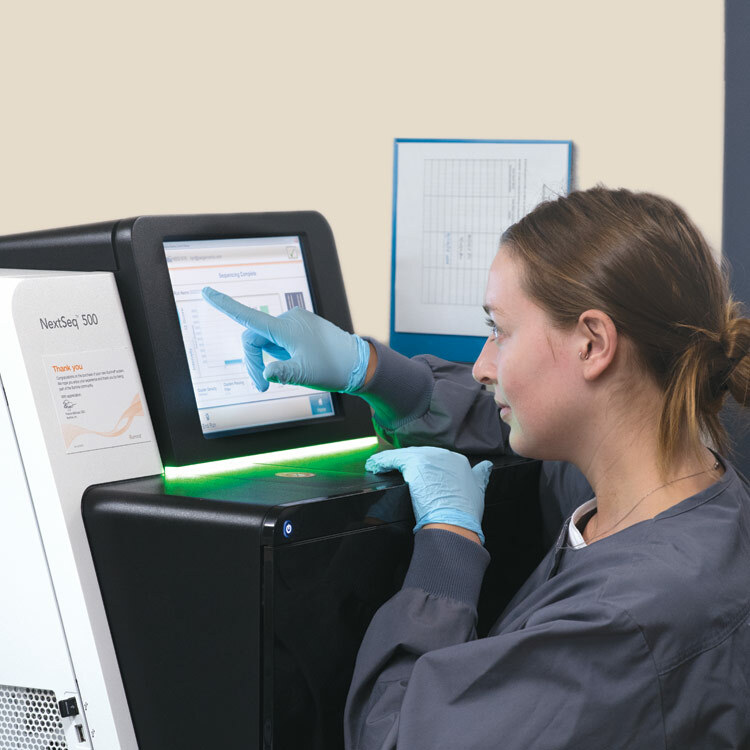 At PacGenomics, we utilize multiple Robotic systems to perform library preparation and normalizations. Fully automated library preparation is used to prepare samples in a consistent manner to reduce human error. Fully automated library preparation is used to reduce bench work time. Fully automated library preparation is used to reduce labor cost. For standard PGT testing at PacGenomics, the smallest detectable segmental chromosomal abnormality is 3.5mb, which yields a greater sensitivity than that of other laboratories’ NGS-based PGT Testing. PacGenomics laboratory is equipped with multiple NGS sequencers to ensure a higher number of reads per sample and shorter turnaround time. As a comparison, other PGT laboratories’ sensitivities to detect small segmental chromosomal abnormalities are 10 – 15mb. The turnaround time for PacGenomics standard PGT is 5 business days. For clinics that require a fresh transfer, we provide NGS-based PGT results with a turnaround time of 13 hours (with a 6 hour hands-on protocol). This swift and efficient time frame is faster than that of other laboratories’ PGT. PacGenomics clinical molecular laboratory provides affordable PGT to patients undergoing IVF.